13 colour(s) to choose from! Fun 3D jigsaw puzzle with options to really test your customers. Choice of 6 levels of difficulty. You can print a different message on each of the 6 faces of the cube. Puzzle arrives "flat packed" for you to build. Please note: this is not suitable for Children under the age of 5 years. 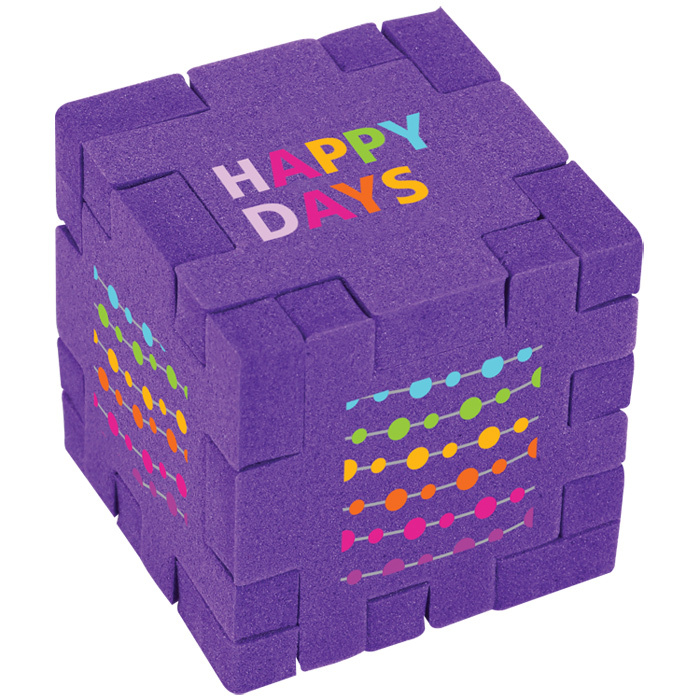 Price includes full colour print on one side of the flat foam puzzle. Dimensions: 115 x 85mm (flat). Print area: 22 x 22mm on each piece.